Monocouche Renders are often sold as maintenance free but algae will still build up on the surface. Coloured renders can be jet washed but sometimes they will need chemical cleaning to get the render back to a pristine condition. Insurend now offer render cleaning as part of their services. 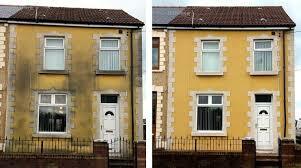 We will chemically clean old render and bring them back to their former glories. 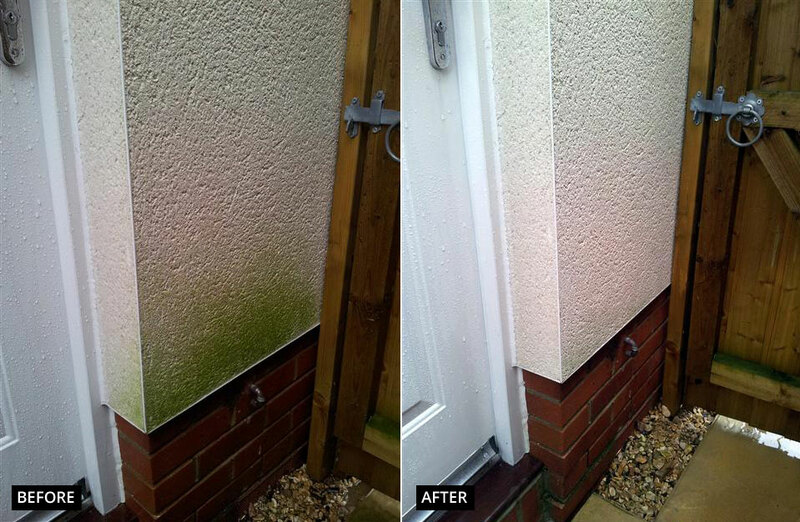 Removal of Red and Green Algae, Fungi and Other Contaminants. Using a patented chemical cleaner, we apply the mixture to the surface of the render ( after we have ascertained which contaminant is present ) and use the chemical and brushing the ease the liquid in to the surface. With sunlight the chemical works its magic and clears the algae or fungal growths and leaves the surface as it was intended.